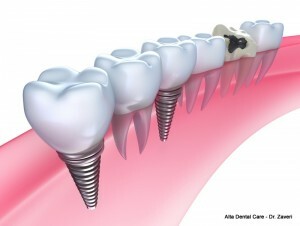 Dental implants provide you with replacement roots for the teeth that you have lost. These rods are constructed from titanium in most cases. Since titanium is a biocompatible material, your body should have no problem accepting it. Dr. Zaveri implants the titanium rods, called abutments, into the spot left open by the missing teeth. These provide a sturdy foundation when he attaches your permanent dentures several weeks or months later. The reason you must wait to have the replacement teeth attached is that the bone surrounding the implant needs time to fuse together and attach itself to the new roots. The term for this process is osteointegration. It is necessary to enable your new permanent dentures to function in the same capacity as your remaining teeth. Dental implant surgery is the only restorative dentistry procedure that stimulates natural bone that remains under the missing teeth. Although most people with missing teeth are eligible for dental implants, there are a few health conditions and lifestyle habits will exclude a small percentage of patients. If you want the convenience that you just can’t find with removable dentures, we encourage you to contact Alta Dental to request a consultation with Dr. Zaveri. 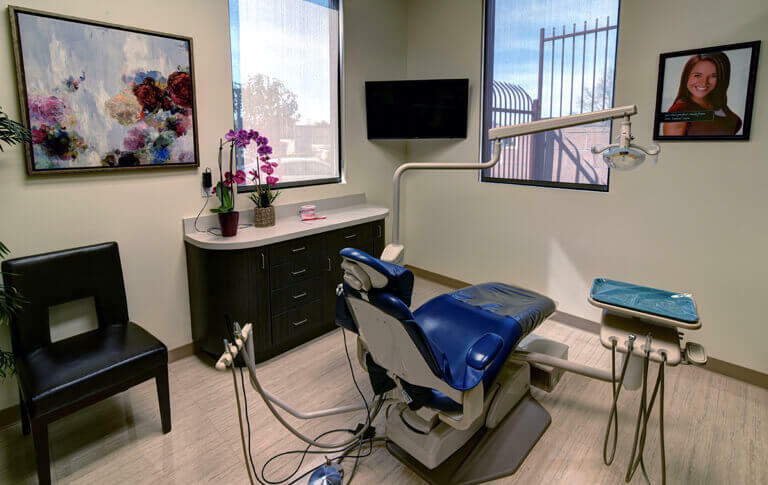 In addition to answering questions about safety concerns, he will discuss the procedure in-depth and describe how to care for dental implants after placement. 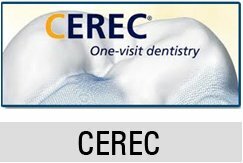 We look forward to helping you improve the aesthetics and functionality of your teeth.